2 Bedroom End of Terrace House For Sale in Par for Asking Price £220,000. 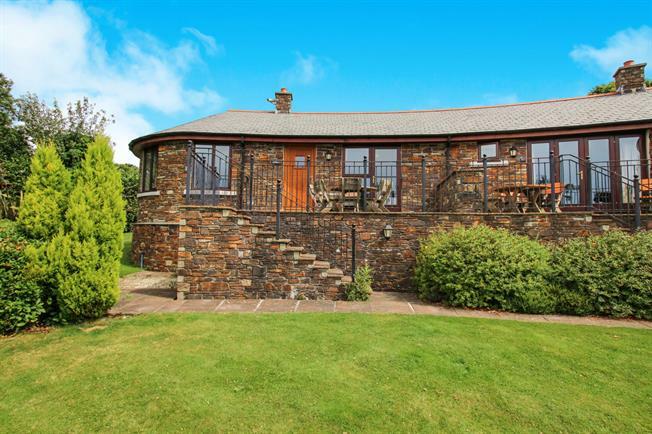 This delightful holiday home benefits from being laid out over one floor, making for a great social / family space, which boasts an attractive fireplace within the spacious oval shaped lounge that enjoys far reaching views down the Par valley. Across the room you can access the kitchen bright and contemporary with views out into the gardens. On the other side of the hallway there is a double bedroom with ensuite and access to the balcony. There is also another spacious double bedroom also with views out onto the gardens, there is a bright family bathroom and ample storage.